Professor Crofts is a graduate of University College London (LL.B. ), the Bayerische Julius-Maximilians-University Würzburg, Germany (LL.M.) and the European University Viadrina in Frankfurt/O., Germany (Dr. iur.). 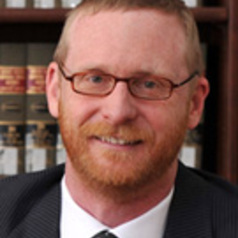 Prior to Sydney University Associate Professor Crofts taught Law at Murdoch University (2000–2010), the European University Viadrina Frankfurt (Oder) (1995–1999) and the Bayerische Julius-Maximilians-University Würzburg (1993–1995). . His research interests are comparative criminal law, criminalisation, criminal law reform and criminal responsibility. He has published in English and German in these fields in national and international journals. He is author of The Criminal Responsibility of Children and Young Persons in Germany and England and co-author of Sexting and Young People alongside several texts in Code and common law Criminal Law.